Now with some 88 million subscribers, Global Telecom (GTH) established itself as a global brand and is considered today to be one of the largest and most diversified telecom operators. Global Telecom is operating GSM networks in high growth markets in the Middle East, Africa and Asia, having a total population under license of approximately 459 million with an average mobile telephony penetration of approximately 54% as of September 30, 2013. Global Telecom operates GSM networks in Algeria ("Djezzy"), Pakistan ("Mobilink"), Bangladesh ("banglalink"), and has an indirect equity shareholding in Globalive Wireless Canada ("WIND Mobile"). 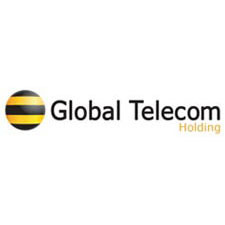 In addition it has an indirect equity ownership in Telecel Zimbabwe (Zimbabwe) and through its subsidiary Telecel Globe, GTH also operates in Burundi and the Central African Republic.